Having a summer wedding? Congratulations! As your big day quickly approaches, there are probably a few last-minute items you may have forgotten or put off until now. We’ve put together a list of subtle but importantly last-minute items that will help make sure your outdoor wedding is flawless! First, remember that flowers often do not thrive in hot temperatures so it’s always a good idea to order some backup flowers. Especially if your groom (groomsmen) is wearing a boutonniere, you’ll want one for the ceremony and another for the reception. No matter what kind of flowers are used, boutonnieres are fragile and often don’t do well against hugs, wind or heat. 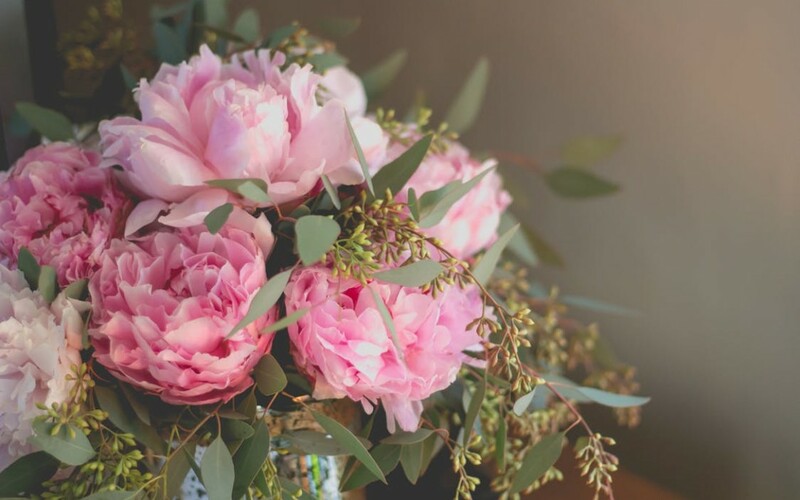 Chat with your florist about providing backup flowers for you, your bridesmaids, groom and groomsmen especially if you’re planning to take photos later in the day. Yes, there will likely be an additional charge but you’ll be happy you planned for drooping petals! Expecting an extra hot summer day? Consider providing parasols, fans, large patio umbrellas, a pop-up tent for shade or even cool towels for the ceremony. Yes, having an outdoor wedding in the summer is amazing and gorgeous but can be tricky if you and your guests are uncomfortable. Don’t be afraid to get creative with what you provide – we’ve seen a few couples print their ceremony program straight onto a tan so it can work double-duty! By providing your guests with a fan or umbrella to stay cool, they’ll be able to focus on you and you won’t feel the need to rush through your vows. The cherry on top? Fans and parasols make great photo accessories! Refreshing drinks might just be the secret to happy guests. Consider offering your guests a refreshing drink (alcoholic or non-alcoholic) to enjoy before the ceremony begins. You don’t have to search Pintrest for a recipe at all, iced teas and lemonades are guaranteed to please. At the reception, consider getting a little more creative and breaking out mini milk shakes or snow cones! Depending on your theme, fresh-fruit ice pops or mini smoothies might work as well. Whatever you’re thinking, just be sure to coordinate with your caterer so they have time to prep. Next, don’t let the party stop just because it’s hot out! Your guests definitely want to dance so consider providing (in addition to cold water/drinks) chilled washcloths for a quick, easy cool down. Work with the servers at your venue to help pass out the washcloths as the night goes on or create a little station, perhaps by the restrooms, to house the washcloths. However you plan, your guests will appreciate the easy access to heat relief and will be more inclined to keep the party going. Finally, don’t let the bugs ruin your wedding day. Even if you have a tent where guests can step inside from the outdoors, you’ll want to have a plan for when the sun starts to set and the mosquitoes start to roam. Purchase some (unscented preferably) bug spray and keep it handy for guests to use. If possible, light citronella candles or tiki torches to help keep pests away. You and your guests will seriously appreciate the defense! Above all else, we want you and your guests to be comfortable and enjoy your special day from start to finish. We hope this list will provide you with some creative ideas to help make sure your outdoor wedding goes off without a hitch. Feel free to contact Benson Tent Rent for more ideas or any of your rental needs!